Growing up in the 1950s, Kay Ochi heard nary a syllable about the incarceration camps where her parents and other Japanese Americans languished during World War II. When Ochi began learning in painstaking detail in the early 1980s about the humiliation endured by the estimated 120,000 people housed at the rudimentary camps, she climbed aboard what became a long-term movement seeking justice for the mass detention. Ochi and other activists around the country have devoted much of their adult lives to the cause while juggling careers and family responsibilities. This summer, she and others are commemorating the 30th anniversary of the Civil Liberties Act with the release of a new book, describing the uphill political battles waged by members of the Nikkei for Civil Rights and Redress (NCRR) and other Japanese Americans to gain reparations and a national apology. The book, published by the University of California, Los Angeles’ Asian American Studies Center Press, was never deliberately intended to directly dovetail with this year’s news reports of controversial, tented communities of undocumented migrant children being detained separately from their parents along the U.S.-Mexico border. However, Ochi applauds the fact that the book’s publication has helped brighten the spotlight on this human rights debate. For instance, Ochi was among countless Americans startled by the forthrightness of former First Lady Laura Bush, who in a recent Washington Post op-ed piece, criticized the current immigrant family separation camps along the border. Unlike some presidential spouses, Bush rarely voiced political opinions during her husband’s eight-year tenure ending in early 2009. Ochi is co-chair of the nonprofit NCRR, a Los Angeles-based organization. That’s a long way from the uninformed upbringing she had in regards to what her parents endured for three years in a Poston, Arizona incarceration camp where they were married by a traveling Buddhist minister. But as an educator in the early 1980s, she felt moved to attend hearings in Los Angeles convened by the federal Commission on Wartime Relocation and Internment of Civilians (CWRIC). The commission had been directed by Congress to review the facts and circumstances surrounding Executive Order 9066, which singled out people of Japanese descent. The measure, signed by President Franklin D. Roosevelt, called for curfews and the mass removal of Japanese Americans from their homes, workplaces and schools, mostly from the West Coast. Ochi was among numerous Sansei – third-generation Japanese Americans – who heard for perhaps the first time in their lives what their parents’ generation had suffered, thanks to racial prejudice, the failure of this country’s political leadership and the wartime hysteria resulting from the bombing of Pearl Harbor. Located in remote areas and harsh terrain, the incarceration camps were surrounded by barbed-wire fences, armed guards and watchtowers. Stripped of their dignity, people lived in cavernous, communal conditions with few partitions or privacy. “It was like a punch in the gut,” Ochi said of the testimony at the hearings almost 40 years ago. She joined NCRR right after the first CWRIC hearing she attended, and throughout the ‘80s traveled to Washington, D.C. many times to lobby congressional members for redress legislation. When President Ronald Reagan signed the Civil Liberties Act in 1988 that called for a formal presidential apology and $20,000 in redress for each surviving individual of the World War II camps, “we were in shock, because we had been battling uphill for so long,” Ochi said. However, the 1988 measure proved to be more of a turning point rather than an ending, said Dr. Lane Hirabayashi, a UCLA emeritus professor who led the team that edited the new NCRR book. 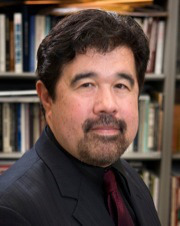 Before retiring from UCLA last year, Hirabayashi was its inaugural Aratani Chair on the Japanese American Incarceration, Redress and Community, the first endowed professorship of its kind in the country. “I don’t think many people in the Nikkei community, let alone in the larger public, realize that NCRR continued to work to get justice for quite a few constituents who suffered during the war but who were disenfranchised in 1988,” Hirabayashi said. He cited two such populations: underage minors sent back to Japan during the war and Japanese Latin Americans rounded up from different countries and herded into the United States during that period. Muslim Americans and Middle Eastern Americans, who have been stigmatized since the Sept. 11, 2001 terrorist attacks, are examples of communities that have formed alliances with NCRR. 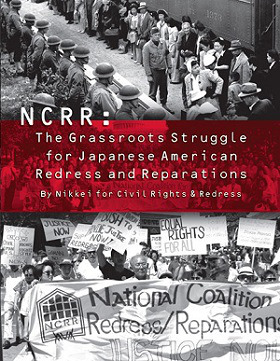 The new book, titled NCRR: The Grassroots Struggle for Japanese American Redress and Reparations, includes 50 first-person accounts by ordinary people who gained empowerment through their activism. One chapter explores the roles of women and of outspoken Nisei – second-generation Japanese Americans – in the grassroots efforts. Another chapter examines newer organizations started by the younger generations, the Yonsei and Gosei. The book launch, held in Los Angeles this summer, was a standing-room-only event, Hirabayashi says. Organizers also sent out several dozen copies to research universities around the country to boost the book’s access to students and faculty outside of California, he says.